Product prices and availability are accurate as of 2019-04-16 17:55:20 EDT and are subject to change. Any price and availability information displayed on http://www.amazon.com/ at the time of purchase will apply to the purchase of this product. BRAVIA V-Series televisions are where Full HD 1080 starts. Two sizes, 46" and 40" diagonally, define what Full HD 1080 (1920 x 1080) televisions are all about. Performance functions like Live Color Creation (featuring the WCG-CCFL backlight) and the 10-bit panel display assure picture quality and performance. The BRAVIA Engine¿ EX full digital video processing system includes DRC-MF v1.0 technology, which upconverts 480i video signals to a 1080p equivalent. DMeX ¿ ready allows connection to the new DMeX (Digital Module Expander) called the BRAVIA Internet Video Link module. And BRAVIA V-Series TVs are big on ease of operation. BRAVIA¿ Theatre Sync offers one-button command for time consuming control functions and signal path routing. And we didn't forget about connectivity. How about two 1080/24p and 1080/60p input capable HDMI connections, two HD Component YPbPr inputs, and a PC input, just to name a few. Add a sparkling new black picture frame design, quiet operation, and you have BRAVIA V-Series HD LCD TVs. When it comes to high-definition TV the pinnacle of performance is achieved by using 1920 x 1080 display panels. And BRAVIA V-Series televisions have them. Full HD 1920 x 1080 panel resolution with over 2 million pixels8 (more than twice that of 720p HDTV) is exactly what you need to reproduce the 1080p content that can be delivered by our cutting edge 1080p Blu-ray disc player. And working with BRAVIA Engine EX everything from standard definition and high definition is upconverted to 1080p6 for a picture so real it's like you're actually there. While it's great to state that a TV is capable of creating billions of colors it's a whole lot better when you have a display that can actually display them. That's the logic behind Sony's 10-bit processor and 10-bit display. Sony follows 10-bit processing with a 10-bit panel, allowing 64 times the levels of color expression than an 8-bit panel. What that translates to is smoother transitions from color to color and subtle color changes faithfully reproduced. The BRAVIA Engine EX full digital video processing system is based on Sony's renowned BRAVIA Engine video processing system. It has all of the same functions of BRAVIA Engine plus the added ability to upconvert 480i standard definition signals via Digital Reality Creation Multi Function v1.0 technology for a picture with more detail and definition. Decades of television know how allow us to realize that an LCD TV is more than just the panel; it’s actually a system. Uncompromised picture quality starts with combining carefully chosen components and circuits to optimize system quality, among these are the color creation and processing functions. That’s what Live Color Creation technology is all about. It starts with the BRAVIA Engine EX video processing system, which enhances primary colors and corrects half-tone colors for natural overall color. Next, a WCG-CCFL backlight using Sony’s phosphor formula delivers a specific spectrum of light designed to work with our specially formulated color filters. The combination of these three components creates deep, deep blues and natural greens for overall colors that draw you right into the picture. Sony’s Advanced Contrast Enhancer (ACE) builds on our excellent on-contrast ratio performance of 1600:11. A Dynamic Contrast Ratio of up to 13,000:12 is achieved by using real-time image processing to adjust the contrast along with optimizing backlight levels. But rather than focus on the "numbers", Sony focuses on actual picture performance avoiding exaggerated blacks where detail can be lost. ACE translates to blacker blacks in darker scenes, as well as better shadow detail in other scenes for a difference that you can see. Many movies are filmed at 24 frames per second (fps) and prime time TV programs are video taped at 24p. Seizing on an opportunity, some studios are taking a purist approach and encoding high definition video content such as Blu-ray Disc in 24p. Sonywisely takes advantage of this by including 24p output capability on their BDP-S1 Blu-ray Disc player. It makes sense that select 2007 BRAVIA TVs will include 24p input capability. The benefit? Images are smooth and natural looking. Once you experience 24p video it will be hard to view video without it. Sony's Digital Media Extender (DMex) ready televisions offer a digital connection path for the addition of optional modules like the new BRAVIA Internet Video Link.7 With innovative DMex expansion capabilities featuring the Emmy award winning XMB user interface, select 2007 models are not merely TVs, but powerful entertainment platforms that not only meet your needs today, but expand easily to meet tomorrow's needs as well. 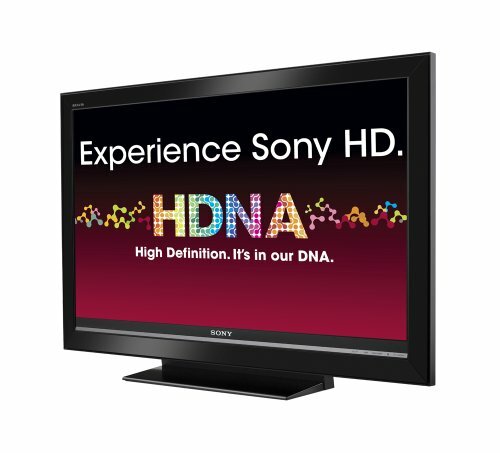 When was the last time you saw an on-screen display that was fast, fun and easy to use? 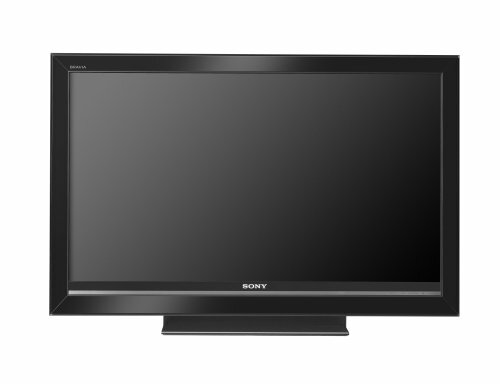 Sony's award-winning Xross Media Bar (pronounced Cross) interface provides a logical and fast way to access set up menus, user controls, and more. The on-screen display comes to life by pushing the XMB menu button on the remote. Navigation through the menus is smooth and fast. Sony created BRAVIA Theatre Sync to go beyond basic digital audio and video transmission. Based on the HDMI-CEC function. BRAVIA Theatre Sync will be included on select BRAVIA Theatre home A/V systems and components. This useful function reduces the hassle and time consuming job of powering up, routing signals, etc. to the simple push of one button. Sony calls this nifty feature BRAVIA Theatre Sync. Here's how it works. Want to play a DVD on your Sony A/V system? Easy, just push PLAY on the BRAVIA HDTV remote and everything is taken care of for you. Even when the system is off! Want to change from TV sound to digital surround sound through your Sony BRAVIA Theatre A/V system? Just one push of the Theater Sound button on the remote and voila, surround sound through your system. Want to power down everything once you've finished enjoying it? Push one button and the TV and A/V system powers down. BRAVIA Theatre Sync helps make things a whole lot easier to operate. Built around a sophisticated set of Sony algorithms, the S-Force Front Surround enhancement function generates realistic surround sound from the two speakers in the TV. Unlike some other "virtual surround" technologies, sound does not need to be bounced off of side walls or other surfaces to hear three-dimensional sound. No matter what the size or shape of the room it's possible to hear sounds from behind you. Designed for maximum versatility, Sony's BRAVIA V-Series LCD TVs are equipped with a comprehensive range of input interfaces. HDMI (High-Definition Multimedia Interface) is the first industry-supported, uncompressed, all-digital audio/video interface. HDMI technology supports enhanced or High Definition video, together with multi-channel digital audio to provide superb image and sound reproduction. BRAVIA V-Series TVs include (3) HDMI 1080/60p inputs. 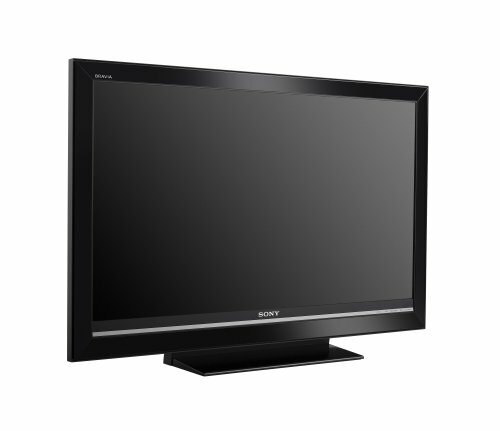 The PC input 4(HD-15-pin) offers easy connection to your PC, allowing you to use your high resolution BRAVIA V-Series Digital TV as a computer monitor. Receive local, over-the-air digital broadcasts of high-definition network programming; no set top box or monthly fee required. Free up space. Mount your television on the wall with confidence; attaches to optional VESA-compatible wall-mounting brackets (sold separately).